Agile Athletes: Jo's journey to Holcombe // Agile Therapy, Cardiff. 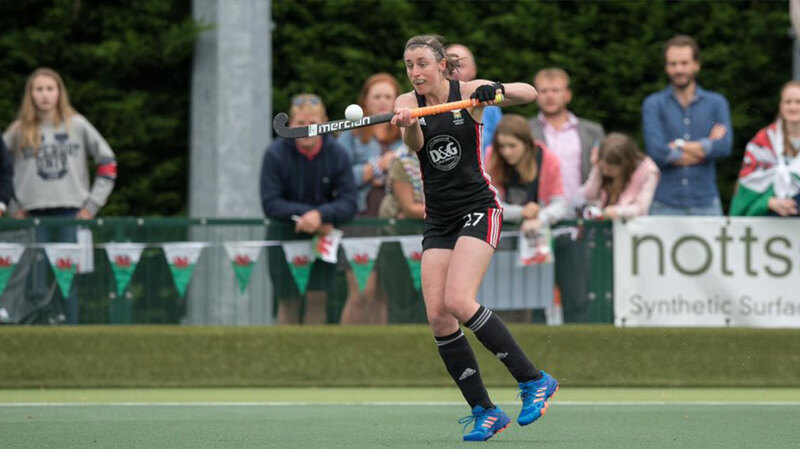 “This year, I made the big 3 hour and 20 minute move away from Cardiff to play for Holcome Hockey Club. Holcome play in the Premier League, the highest league in England, so it’s a big move for both me and my playing career. I started with the club at a pre-season tournament in Cannock, getting to know the team and how they play. As well as playing, I’m coaching with the club and in local performance centres too. My dream has always been to play and coach hockey so I was really looking forward to the season starting. My days currently consist of coaching, training and playing hockey and so far this season, we haven’t lost a game. We’ve drawn in two away games and won the two games that we’ve played at home so there’s still room for improvement. The intensity of the games are so much higher than last season and I’m still adapting to that but my fitness training has helped me keep up with the game. Even though we’re only four games in and there’s a long way to go this season, it looks like it’ll be an exciting one at Holcombe. Since starting here, I’ve taking part in trials for the GB Elite Development Programme. The trials took place over three weeks and consisted of tough two to three day camps in Lilleshall testing every part of your game; tactical, technical and fitness. I learnt so much throughout the trials, playing with different players and learning with different coaches was both a highly valuable and enjoyable experience, even if it was exhausting at the same time! I am pleased to report that I was successful in my trials so I am looking forward to the induction day at the end of this month with the other players who were selected. It’s another opportunity to learn and improve at a higher level and gain new skills ready for me to take back when Wales Senior women begin training again in December. Outside of the excitement of the trials, I am getting used to life in Holcombe and getting to know the local area. I’m lucky enough to have a great club and fantastic team mates who have been looking after me. I’m enjoying my time in Kent and, so far, not missing home too much although it was nice to get a visit from my number one supporter, my dog Solo. I’m looking forward to a trip to play Clifton on 28th October to see everyone at home and to make sure they haven’t forgotten about me! Hopefully I’ll get to see some friendly faces watching from the side lines as well. Whether you’re an athlete like Jo or you’re just keen to stay fit and healthy, we can support you with a wide range of treatments. From physiotherapy and sports massage, to sports psychology and nutrition, we’re here to help you achieve and exceed your goals. Book online today and get ready to get Agile! David Saunders qualified from the University of Birmingham with a Bsc (Hons) in Physiotherapy in 2004.